Have you ever gone to the grocery store and come back home only to forget to unload your groceries? Probably not, right? 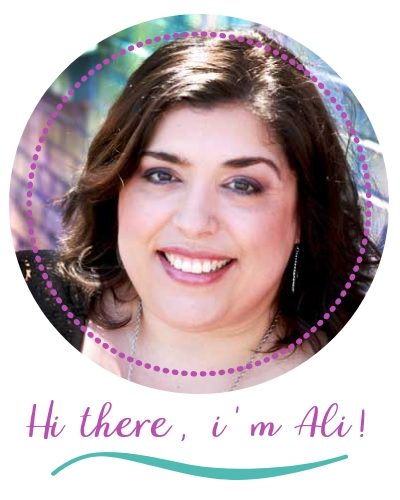 Well, the first time I tried online grocery pickup, that is exactly what I did! My first experience with online grocery shopping was with Walmart’s Grocery Pickup service. I couldn’t believe that they loaded everything for me and all I did was sit in my van. It was so easy that by the time I pulled into my garage, I had completely forgotten I had just gone to the grocery store. Normally, I would arrive back home exhausted and having severe back pain from grocery shopping. I would be dreading having to unload and put away the groceries. So my focus on the way home would be the groceries in my van. But without the pain and zapped energy, I got out of my van thinking of the next task I needed to do. A few hours later, it hit me that I had groceries in the back of the van. Aagh! That is going to depend on your individual needs and the limitations your chronic illness imposes. I have tried both, and I prefer grocery pickup. If you are severely limited in your mobility and energy level, then the obvious choice for you may be online grocery shopping delivery service. But there are a few key differences I have found between grocery pickup and grocery delivery. More stores offer pickup service options, but tend to contract out for delivery services. So if you prefer to work directly with the store instead of a 3rd party, then this is probably the option for you. If there are any substitutions for out of stock products, you can choose to accept or refuse at the time of pickup. In my area (Texas), we have several grocery stores that offer grocery shopping pickup services. Take a look at how Kroger’s Online Grocery Order Service works! They unload the groceries and bring them into your house for you. Grocery Delivery Service Companies are popping up everywhere, so if you are in an area that doesn’t have a lot of grocery pickup stores available, then there is probably a grocery delivery service available to you. You may have the extra expense of tipping the delivery person. At most grocery store pickups, tips are not allowed. If there are substitutions or errors, then you are kinda stuck with whatever shows up at your doorstep unless you want to drive back to the store. Nationally, there are several companies that offer grocery delivery services. You might recognize a few of the names . . .
Here’s an article that shows how the different grocery delivery services compare. If you decide to use an online grocery shopping pickup program, here is just a friendly reminder to unload the groceries when you get home–not let them sit for hours in your car and spoil your milk! Have you tried any of these options in your area? 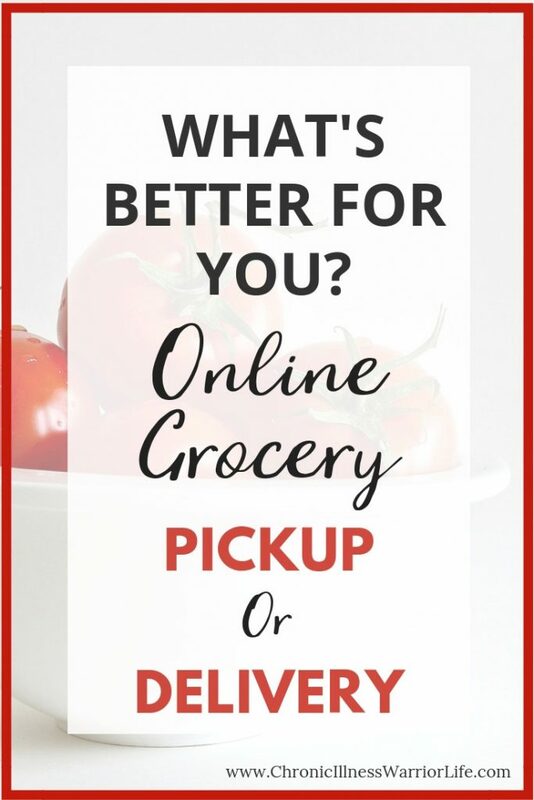 What do you think is better-grocery delivery or grocery pickup? What kind of experience did you have? P.S. Would you do me a favor and pin, Grocery Shopping Pickup Versus Delivery: What’s Best for You? Thanks!